Boca Juniors 4 - 2 River Plate Copa Libertadores Quarter Final - 2000. Thanks to all those who have read and commented over the last 2 years. Be sure to Follow On......Follow On! Prior to El Presidente Julio Grondona's brave/foolhardy/ridiculous decision to appoint Diego Maradona as national team coach a little under two years ago the pragmatists choice was Sergio 'Checho' Batista. Batista brings a blend of national team experience as a player in the 1986 World Cup winning team combined with a Gold Medal at the Beijing Olympics as coach and as if to underline his fallibility a spectacular failure at the South American under-20 championships. Aside from the shiny gold medal in Beijing he also managed to get the best out of Lionel Messi, something Maradona failed to do on a consistent basis. Now for the disclaimer, it was only a friendly, Spain were tired, the Spanish squad were more concerned with photo opps at La Bombonera than training, it wasn't there first choice 11 etc, etc. At the very least we were spared the strange sight of Jonas Gutierrez playing right back and for this we should be thankful. The AFA will find it very difficult not to appoint Batista as permanent coach. LIONEL MESSI inspired La Albiceleste to an impressive win over World Cup winners Spain in Buenos Aires. The Barca maestro had failed to set the heather alight in South Africa and revelled in front of a boisterous 53,000 home support. Spain fielded a strong team and despite a host of names benchwarming Messi put his adopted country to the sword. Messi's marauding run was rewarded with a slide-rule pass the split the Spain defence and he effortlessly chipped Pepe Reina to open the scoring on 10 minutes. Three minutes later and Real Madrid's Gonzalo Higuaín doubled their lead as he broke free to round Reina and slot home from an acute angle. Argentina had the woodwork to thank as David Villa's long range effort crashed off the post before Carlos Tevez pounced on Reina's slip to bundle in their third after 34 minutes. Villa tried his luck again from a 25-yard direct free-kick but the same post managed to keep the Spaniards out. The first-half goal-feast led to a lacklustre second 45 minutes and in a bright moment Argentina saw Ángel Di Maria's goal ruled-out for offside on 63 minutes after Messi hesitated on releasing the pass following another mazyz run. Spain substitute Fernando Llorente managed a consolation after his neat control and turn effort found it's way into the net on 84 minutes. And Kun Agüero wrapped up the scoring on 90 minutes with a fine header from Gabriel Heinze' cross. Those in their forties are often termed 'middle aged', Afghans in their forties will be 'senior citizens'. A 'quiet' week in Baghdad results in thirty civilians being murdered. Everything is relative. Ricardo Gareca's 'longstanding' reign as coach of Vélez Sarsfield started in January 2009, the transient nature of coaching jobs in Argentina makes 'Flaco/Tigre' (choose the nickname you prefer) almost a veteran at Liniers and Vélez a model of stability. As much as is possible the squad has retained many from the side which won 2009's Clasura or has promoted players up through the ranks. Of the 147 transfers that were completed before this tournament began (a record) Vélez signed only two players - midfielder Augusto Fernández from St.Etienne and defender Fernando Ortiz cited as a possible replacement for the much maligned Porto-bound Nicolás Otamendi. Sensible acquisitions with an eye on the bank balance, the prolific Santiago Silva was brought back from Banfield in January. As can be seen at many teams, those who are forced to recruit vast amounts of players during the close season may find it impacts negatively on the harmony and dynamic developed in the dressing room, often transferring to problems on the pitch. In a championship that only lasts for 19 games these effects are all the more acute. Argentinos Juniors have been decimated since their title win a few months ago and have collected only two points from a possible 12. Footballing ability alone is not enough, consider France's inept World Cup. I've always had a soft spot for Vélez for reasons far too anoraky to expand on. Gareca is a Vélez man through and through, like his father. As a player he spent only 3 years at the club but has always been a fan. 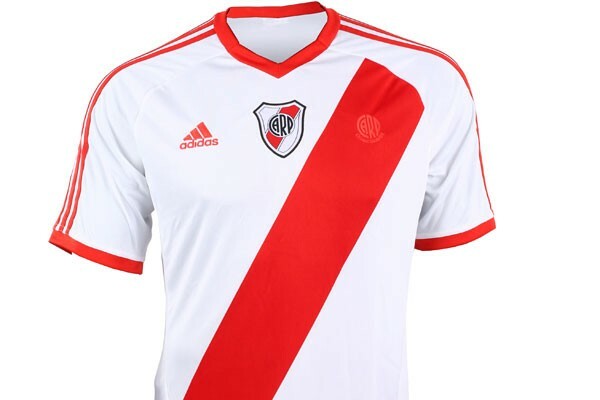 Perhaps that's why he found it easier to cross the divide - he moved directly from Boca Juniors to River Plate in the mid 80's and has been loathed ever since. Paradoxically River fans aren't too keen on him either. On moving to America de Cali in Colombia he was on the losing side in three consecutive Copa Libertadores finals, character building indeed. "When we joined Velez our aim was to fashion a team in a similar way to how the all-conquering 1990s side was built. I asked the players to draw on that aggression and that attitude, the fighting spirit that any player wearing this shirt must have. They took the message on board and we lived up to the club's history," Ricardo Gareca on the Clasura triumph of 2009. The title was clinched in a winner takes all match against Huracán; the result was mired in controversy not least as Maxi Moralez's late winner was only made possible after Huracán goalie Monzón was lying prostrate in the area as Joaquin Lavirrey's foul went unpunished. Moralez was sent off for his celebration, Huracán had an earlier goal disallowed and giant hailstones pumelled the pitch. The then Huracán coach Angel Cappa and fans appealed in vein to the AFA in the days after the match. Tomorrow's match v River Plate sees Cappa return to Liniers, both teams are early contenders for the title but the similarities end there. River's recent history has been built on rocky ground - lurching from coach to coach often in mid-campaign. Vélez go into the game on the back of two defeats, they had the misfortune to meet Boca Juniors last Sunday on what was the home side's customary one good game in every eight and lost 2-1. On Thursday they were defeated by Banfield in the Copa Sudamericana highlighing again the difficulty of competing on two fronts. Just one point separates Vélez and River as we go into the fith round of matches - or perhaps more tellingly 15 places and 42 points in the Promedio (relegation standings). The start of a new season is upon us. The time when we're allowed to dream, from the newly promoted to football's aristocracy - everyone is equal. Things aren't quite so simple in Argentina the 'table within a table' the Promedio/relegation standings tell a different story, decimalised points totals catch the eye and we all reach for our calculators. At River Plate the equilibrium in the pristine Primera A table tells only half the story, they are languishing a lowly 17th in the relegation standings with only the three newly promoted teams below. An abysmal 84 points from from 76 games have dragged the Millionaires down the table, season 2010/11 will be one of the most important in their illustrious history. Club president Daniel Passarella is gearing up for his first full season at the helm and understandably holds the previous regime of Aguilar responsible for River's current predicament, thanks to the Promedio system they at least have a fighting chance of retaining their top-flight status. World Cup winner Passarella secured a narrow victory last December and has vowed to reverse the club's monthly $1.2m loss by the end of next year. El gran capitán was much more than a defender; he scored almost a goal every 3 games for River (99 in total) and as President he's much more than a figurehead. A sponsorship deal with Petrobras has been secured until 2012, new sources of investment are being sought including the development of a trust scheme in which anyone and everyone will be welcome, existing debts are also being settled. All of this bodes well for the medium term - fans will be more concerned with the next 10 months. Ex-Huracán coach and lover of football Angel Cappa has been brought in, during the close season eight new players have joined on various contracts and agreements. River scored 16 goals in 19 games during Clasura 2010, to rectify this pressing problem they brought in Mariano Pavone on loan from Real Betis who'll be under immense pressure to re-create his title winning form with Estudiantes . Other arrivals include returning goalkeeper Juan Pablo Carrizo from Lazio, midfielder Walter Acevedo from Independiente and Carlos Arano who played under Cappa at Huracán. Circumstances permitting Ariel Ortega may have one more good season, Diego Buonanotte may fulfill his immense potential even allowing for the events of last December. As with all great clubs results are expected, at River they are now essential. Given the cost of failure will Cappa be bold enough to stick to his footballing ideals? We'll get our first glimpse of the new River against Tigre. Those unfortunates who have beared witness to 18 months of Boca Juniors mediocrity, turmoil and scandal could be excused a nano-second of hope, a moments anticipation on reading the headline in recent edition of Olé. On delving a little deeper into the article dreams are soon dashed, 10 new players wont be arriving in the close season, Mayor of Buenos Aires Mauricio Macri wont be directing city funds towards his former employers, and wealthy Arab shaikhs don't see Boca Juniors as the next Manchester City. The Ten is Juan Roman Riquelme, one of the few players who's returned to the land of his birth without the aid of a walking frame. For many Riquelme is the embodiment of La Nuestra (the way the game should be played) whilst for others he's an unnecessary luxury, a relic of a bygone era and a devisive figure within the team and club as a whole. Never one to shirk confrontation he famously fell out with Maradona (who hasn't?) and retired from the national team for the 2nd time; made a guest appearance at a barbecue organised by the club's infamous La Doce hooligan gang (http://realfootballargentina.blogspot.com/2008/12/dangerous-relations.html) and in recent months has admitted that he can't stand Boca's record goalscorer Martin Palermo. He's seen off potential coach Guillermo Barros Schelotto who would only consider the job on the proviso that JR moved on, probably a blessing as he has no coaching experience. Riquelme's contract expires in June and rumours seemed to indicate that he'd follow Pato Abbondanzieri north to Brazil with Flamengo and Corinthians showing interest which would give the 31 year old another chance at Libertadores glory. This evening's game away to Banfield may have been his last appearance for the club 'if I don't return as a player I'll be back as a fan' he said last weekend but after an operation on his left knee he will be sidelined for at least 2 months. Thanks to all those who have followed and commented on RFA up until now. Like a veteran Argentine footballer yearning for his homeland - Volveremos (We'll return).